Sint Marteen is a part of the island in the Caribbean. We refer to it as just a part of the island because the entire island of Saint Martin is split in half. It is the smallest piece of land that belongs to two countries. The one we are referring to as Sint Marteen is a constituent of the Kingdom of Netherlands, while the other half is a French overseas territory. In this article, we will be talking about the Dutch side of the island. Before you leave to Sint Marteen, there are some things that you should know so that you do not have surprises along the way. Since we are talking about two separate countries, the two parts of the island have their own particularities. The first one that should concern you is the visa requirements. In Sint Marteen’s case, you need to check out the visa policy of Kingdom of the Netherlands in the Caribbean. The policy is not strict, and chances are that you do not need a visa to go to Sint Marteen. That is because the policy includes a list of visa-exempt countries, and their citizens can enter and stay in Sint Marteen for up to 90 days without getting a visa. The same nationalities can enter Aruba, Curacao, and the Caribbean Netherlands. 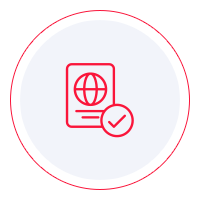 If your country of origin is not on the list of visa waiver states, your alternative is to apply for a visa at the nearest embassy of the Netherlands. The process is not as complicated as you think, and you have to wait just for a few days for the document to arrive. Two things need to be clarified as far as the visa is concerned. One is that the Netherlands is a part of the Schengen Area Agreement, but Sint Marteen is not, which is why you cannot use a Schengen visa to enter Sint Marteen. The second aspect is that a visa that grants you entry in Sint Marteen will not give you the same privilege in the European Netherlands. You should never confuse the two. The official language in Sint Marteen is, as you may have already guessed, Dutch. However, the Islanders are used to tourists, which is why you will manage just fine if you speak English. There are several beach resorts where English is more than enough, but if you decide to get out of the resort, you should learn a phrase or two in Dutch. Just to be on the safe side. To get in Sint Marteen, you will land at Princess Juliana International Airport, and from there, you can travel to any part of the Island. The airport is one of the busiest in the Caribbean since there are many flights from thee to other Caribbean islands. As to what you can do in Sint Marteen, the options are many. First of all, most people come here for the beaches. The white sand, the warm water, and the eternal blue make this place a small tropical paradise. It is the ideal place for relaxation. At the same time, there are a lot of casinos in Sint Marteen, so you can gamble at will. The Dutch side of Saint Martin’s has a lot of shops as well. A bazaar is also open, and you can buy a lot of stuff. You can purchase some beachwear, jewelry, tobacco, alcohol, and plenty of souvenirs. And even if you do not buy many things, it is still interesting to take a stroll among the vendors. You will see a lot of interesting things. The cuisine in Sint Marteen is more than satisfactory. The entire island has about 300 restaurants. However, if you do not feel adventurous as far as food is concerned, the Dutch side of Saint Martin’s has a lot of fast-food chains that you may be familiar with. You can find Burger King, McDonald’s, Subway, Pizza Hut, and a few others. However, we recommend that you try some of the local food. It is a part of the experience. The bottom line is that Sint Marteen is a lovely place where you can have a fantastic vacation. There is very little crime, and you should be aware of the parking. Parking spaces are very few, and you can get your car towed. If you do not want to worry about that, it is best if you leave the car at the hotel and get around by bus or other public means of transport. You will feel more at ease that way.